"Transformers" star Shia LaBeouf recently tried his hand at writing and directing a short film called "Howard Cantour," but despite its initial support and acclaim, the actor is now being accused of plagiarizing almost the entire project. First debuting at the 2012 Cannes Film Festival, LaBeouf posted the film Monday, Dec. 16, on HowardCantour.com. The website Buzzfeed quickly noticed some startling similarities from the short to a comic titled "Justin M. Damiano," written and created by Daniel Clowes. Following the plagiarism accusations, the 27-year-old actor took to Twitter to apologize for having "neglected to follow proper accreditation." Both "Howard Cantour" and "Justin M. Damiano" begin with the main character narrating, using at times, the same lines of dialog. LaBeouf claims he wasn't copying the comic or any of Clowes' work, but was simply inspired by it. LaBeouf concluded, tweeting: "I f----d up." While many feel the short is clearly based on Clowes' work (including Clowes), Clowes' name appears nowhere in the credits, or on the website, and he was never asked by LaBeouf for permission to adapt the piece. The film follows the comic relatively closely, both in terms of dialog and in the composition of imagery. Many viewers online have even noted the similarity in appearance between the "Howard Cantour" cast, led by comedian Jim Gaffigan, and the characters in the comic. Both the film and the comic begin with the narration, "A critic is a warrior, and each of us on the battlefield have the means to glorify or demolish (whether a film, a career, or an entire philosophy) by influencing perception in ways that if heartfelt and truthful, can have far-reaching repercussions." According to an interview with Buzzfeed, Clowes said, "The first I ever heard of the film was this morning when someone sent me a link. I've never spoken to or met Mr. LaBeouf. I've never even seen one of his films that I can recall -- and I was shocked, to say the least, when I saw that he took the script and even many of the visuals from a very personal story I did six or seven years ago and passed it off as his own work. I actually can’t imagine what was going through his mind." LaBeouf also never mentioned Clowes or "Justin M. Damiano" when he gave an interview with the short-film showcase website Short of the Week. "I know something about the gulf between critical acclaim and blockbuster business. I have been crushed by critics (especially during my Transformers run), and in trying to come to terms with my feelings about critics, I needed to understand them," he said of the premise of the film. "As I tried to empathize with the sort of man who might earn a living taking potshots at me and the people I've worked with, a small script developed." The film has since been password protected at the request of the film's producer. However, as of Monday night, Buzzfeed was still streaming the short in its entirety. Clowes is the celebrated artist behind the popular independent comics "Wilson" and "Ghost World," the latter of which was adapted into the 2001 film of the same name starring Scarlett Johansson and Thora Birch. It's unclear what legal ramifications will stem from this incident, if any. 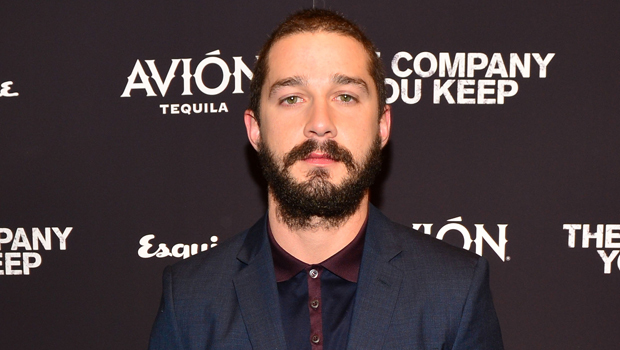 Several reports claim that LaBeouf's apology is also plagiarized. Some readers have pointed out that part of his apology is very similar to a post on Yahoo Answers written by a writer named Lili four years ago, particularly the line, "Merely copying isn't particularly creative work, though it's useful as training and practice. Being inspired by someone else's idea to produce something new and different IS creative work, and it may even revolutionalize the 'stolen' concept."